If you own an older home or even a newer one with wood windows, you’ve probably found yourself wondering how to fix stuck windows and doors. Though beautiful, wood-framed windows and wood doors are notorious for swelling during wet or cold weather which makes them difficult to open. Trying to force them open can damage their frames and lead to costly repairs. 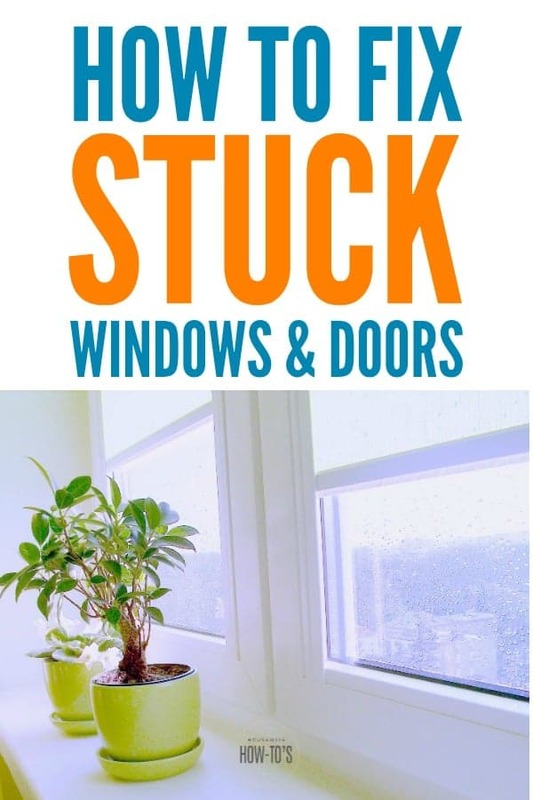 So instead of hauling out the crowbar, give these steps to fix stuck windows and doors a try then follow up with some of the preventative measures to keep them from getting stuck again. Before trying either of the methods below, make sure the window is unlocked and not nailed shut. You’d think that would be an obvious thing to check, and yet I once spent a good 5 minutes trying to open a window that was nailed shut by previous homeowners. Once you’re sure the window isn’t locked and you know the direction it should open, try to identify what’s causing it to stick shut. Windows painted shut can be opened by gently running a putty knife between the window and frame. Start at one corner and work your way around. Use a utility knife to cut through particularly thick areas of paint if needed. Repeat on the outside of the window before attempting to open. If it’s been painted shut for a while, you may need to lightly tap the corners of the frame (not the window glass!) with a hammer to loosen the window. Wrap the head of the hammer in cloth to cushion the blow and prevent leaving marks. 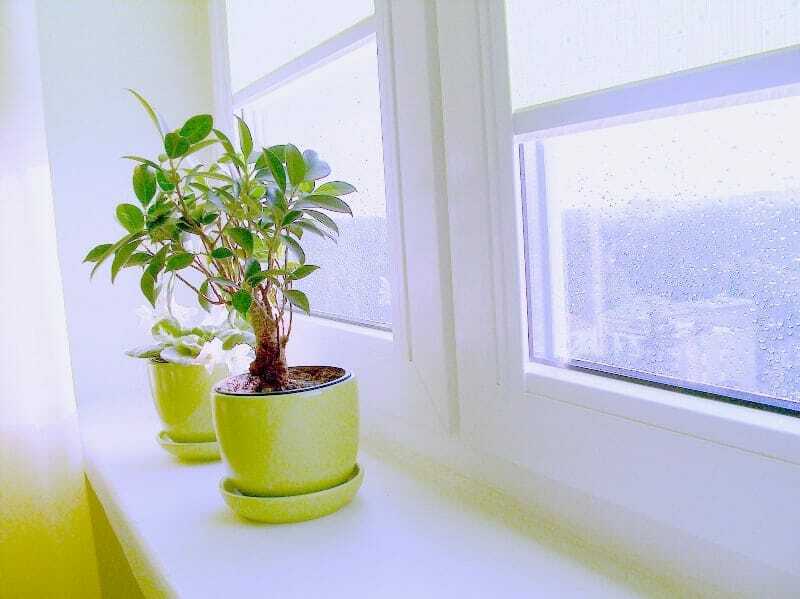 Water-swollen windows are easily fixed by aiming a blow-dryer at the gap between the window and the frame. Keep the hot air moving for 5-10 minutes then give the window a try. If it starts to open but gets stuck again, aim the blow-dryer at that area for another few minutes. Repeat until the window opens fully then follow the tips at the bottom of this guide to keep it from sticking shut again. Doors sometimes get stuck for the same reason as windows, so the first step is to try the methods above. If the door continues to stick, you’ll need to take it off the hinges. If you can’t easily pry the hinge pin out with a flat-head screwdriver, try holding a hex key or Allen wrench in the bottom of the hinge and tapping it with a hammer to force the pin upwards. Once you’ve got the door off the hinges, check the hinge screws. Loose hinges let doors sag and make them difficult to open. Tighten the screws on the hinges and, while you’re there, give the hinge a light spray of silicone lubricant. Put the door back on and see if it works correctly now. If not, you may need to plane the jamb lightly. Tom Silva, the general contractor at This Old House, shows how to plane a door here. 1. Clean the window track by vacuuming it with the brush attachment then using a toothbrush and hot, soapy water to remove any remaining grime. 2. Reduce friction on window and door jambs by running a candle stub or bar of soap along them. The waxy surface these leave behind will help them open smoothly while also creating a barrier that helps keep moisture out. 3. Use silicone lubricant on vinyl window and sliding glass door tracks. Be careful not to overspray onto the glass. 5. Sand and repaint if you continue to have problems. Paint seals the wood and provides a smooth surface, so doors and windows open easily. To do this, you’ll need to scrape down to the bare wood then sand it. Apply a thin coat of primer and, once that’s dry, apply a light coat of fresh paint. Wait 6 hours and reapply. (Don’t paint the windows shut!) Once that’s fully dry your door or window should open and close like new. Note: This entry first appeared on Nov. 5, 2015. It has been updated and improved for republication. One of my family members has a tendency to shut the door too hard. And now it’s stuck. How can I fix this? Have you tried removing the hinge pins and lifting the door out of the frame? Thank you for sharing these remedies. I have vinyl windows that I never open because it’s so hard to get them closed again. I’ll try a silicon lubricant and see if it makes a difference. I’m hoping this will be an easy fix. Uh oh, you’ve worried me: I’m about to get all of our 25-year-old wood-framed windows replaced with vinyl because I’m tired of wrestling with them. I’m under the impression that doesn’t happen with vinyl!